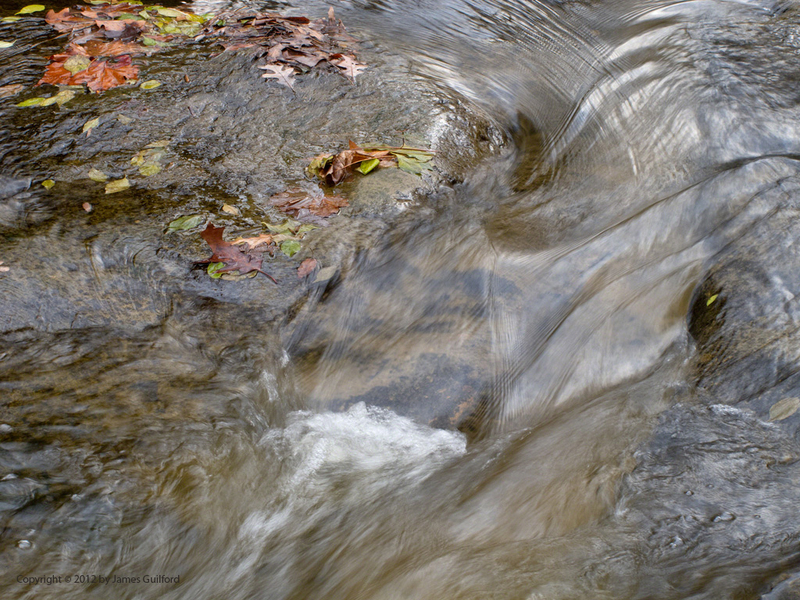 Cold water moves as though thick around rocks in this stream. After painting the kitchen moulding I took off on a round of errands: Post Office, Cardboard Recycling, Office (to water plant). Then respite: a nice, unhurried visit to David Fortier River Park in Olmsted Falls followed by a quick stop at the Strongsville Wildlife Area. It was a cold, gray afternoon, well-suited to the time of year. Still, there was plenty to photograph especially in Olmsted Falls where I spotted many pictures. Even armed only with my little PowerShot G11 I was able to bring home a nice set of images; it was hard to choose which of them to show here. Suddenly things are happening with the kitchen as tomorrow marks arrival and installation of the sink. On Monday and Tuesday of next week, the plumbing gets connected (wish it was earlier!) and the moulding goes up. That should be the completion of our “kitchen project.” Yes, today’s respite was much-needed. 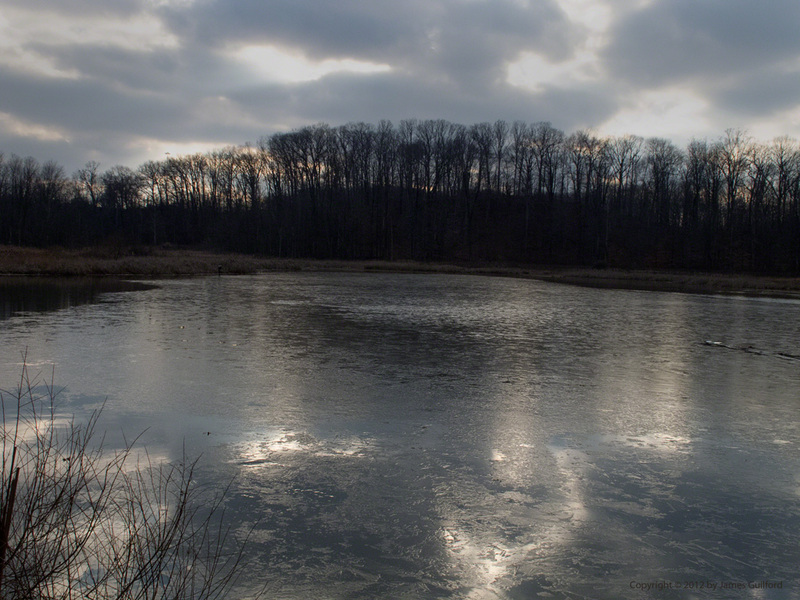 Thin ice is forming on the pond in the Strongsville Wildlife Area. ← Kitchen Project – Day… ?